Want to experience online competitive gaming in an offline mode ? FIFA 18 has got you covered with the all new Squad Battles and today we are discussing about it's first hand impressions of this mode. 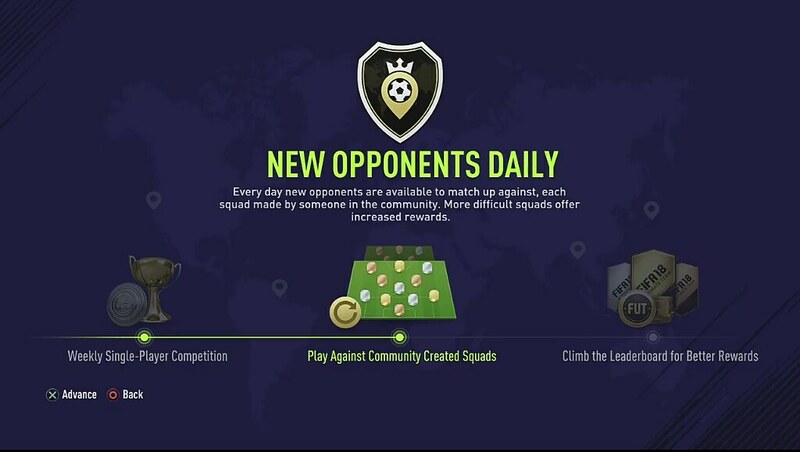 So What's Squad Battles ? 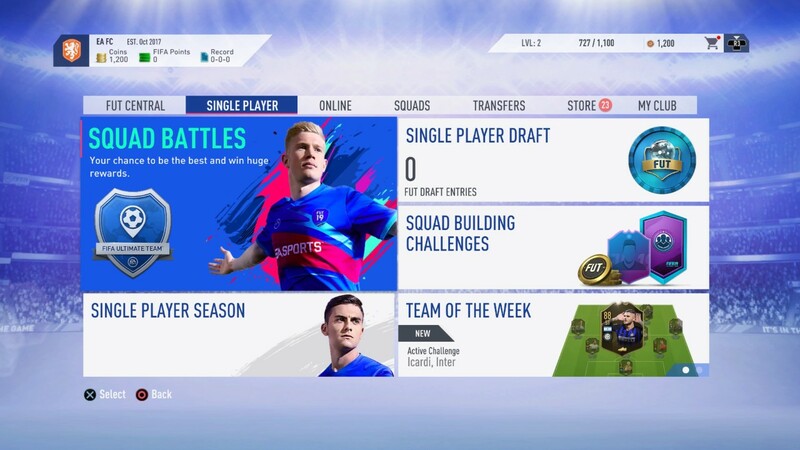 Squad Battles is a brand-new offline Single Player game mode in FIFA 18 which is going to present you a never before experience of offline FIFA with big exciting rewards. 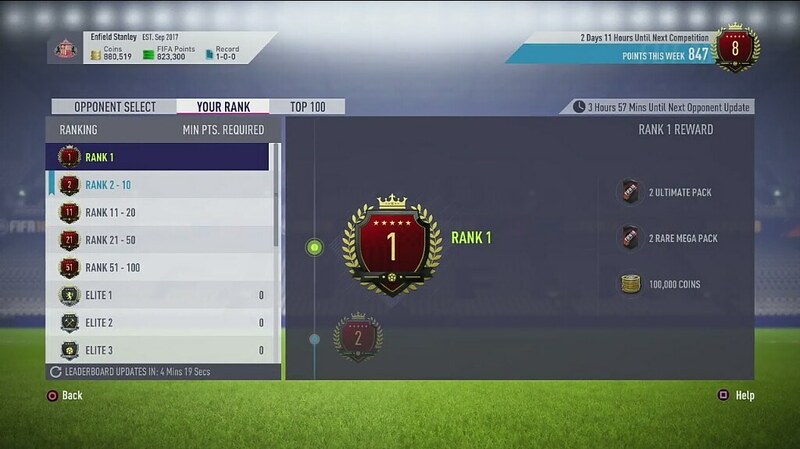 It is an Ultimate Team feature in which you fight with your Ultimate Team against many community created teams to top the leaderboards which can earn you pretty cool coin and pack rewards. It is actually a weekly tournament with new opponents coming up daily. You need to compete all week to get better rewards at the end of the week. You play matches against community created teams. There are no restrictions on the number of matches that can be played. The more you win, the higher you would rank in the leaderboards. With new opponents coming up daily, it's almost impossible to run out of opponents. You would rather run out of time !!! 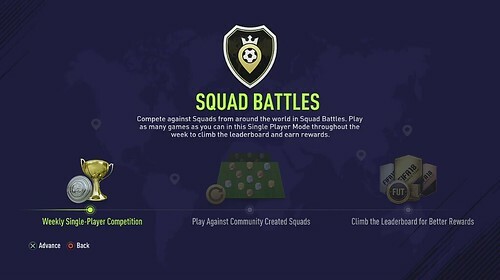 The squads are created by community members so there's a human logic behind each squad, not a random player chooser which is why this offline game mode will be giving you an experience of playing with a real opponent just like an online game mode. You get to choose the squad you want to compete with and also the AI difficulty. Competing with tougher ones in higher difficulties would earn you even better rewards too. There would be a leaderboard which gets updated frequently. 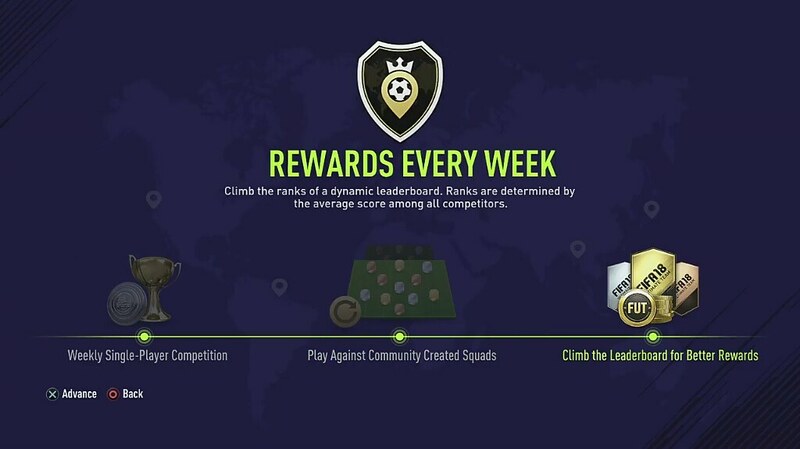 You need to rank high to get more better rewards at the end of each week. Remember: There would be tons and tons of players in this game mode so it would not be that easy to rank high as it looks while reading this article. But You Still Would Be Fighting With The Dumb AI ? That's pretty right that you will be playing with the AI only, but it's not the old and dumb one, IT HAS CHANGED !!! The single player AI of FIFA 18 will be a bit human-like in all single player modes ( performing different skills ), but especially in the case of Squad Battles, the AI would not only be performing skills like humans but also it would be difficult to play with it. Probably the reason lies behind the fact that Chemistry and Chemistry Boosts will fall in effect in the game. The Chemistry and Boosts will be an essential part in winning the matches. It would be like the AI would know what you are going to do and has a plan for countering it but it would totally depend on your chemistry whether the plan would be implemented or not. Let's take an example, a player of 86 rating and 6 chemistry would obviously perform better than a player of the same rating but less chemistry. So Numbers are going to be very important in this mode. Also it was quite clear that the opponent's going to be pass-lovers. They are going to love to pass, always passing between each other ( which is why chemistry comes into action ). More passing means more risk for slide tackles ending up in fouls, and more. For explaining how passing could be dangerous for you, let's consider that your opponent with a 4-3-3 formation has the possession who is then using it's wing's player to reach closer to the goal. As soon as you send a defender for tackling him, he just passes the ball. Also let's say that the team has an excellent chemistry with each player being of 8 or 9. Then, just think the disastrous passing the AI would perform. Passing would be gaps would be merely a piece of cake for the opponent while for you gaining possession would be committing fouls. So, you might have now understood the difficulty level of the AI in this mode. Now let's move onto another topic, that is, what will competing with such a difficult AI reward you ? What You Would Get From Competing With This AI ? The answer simply is Pretty Big Rewards !! But the rewards will totally depend on your position in the weekly leaderboards. Each matches would give you some points depending on the difficulty level of AI you played in, number of goals and other performance factors. The points that you earn would improve your rank in the leaderboard. There would be a division kind of thing like Bronze - 1, 2 and 3; Silver - 1, 2 and 3 and more higher ones. Here's How You Can Win It !!! Play it frequently, try to play it in the difficulty level that suits you the best and score goals. If you chose a lower difficulty and get lesser points, you can balance it by scoring more goals, playing more matches and winning them ALL !!! You are reading "FIFA 18's Brand New Offline Mode Shows What The FIFA AI is Actually Capable of".